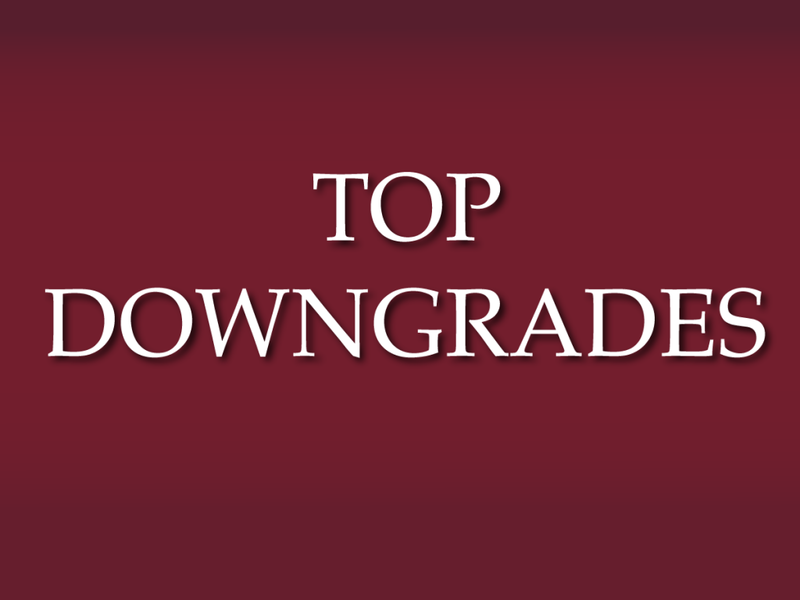 Analysts at Credit Suisse downgraded Black Hills Corp (NYSE: BKH) from Outperform to Neutral. The price target for Black Hills has been lowered from $63.00 to $55.00. Black Hills' shares closed at $48.46 yesterday. 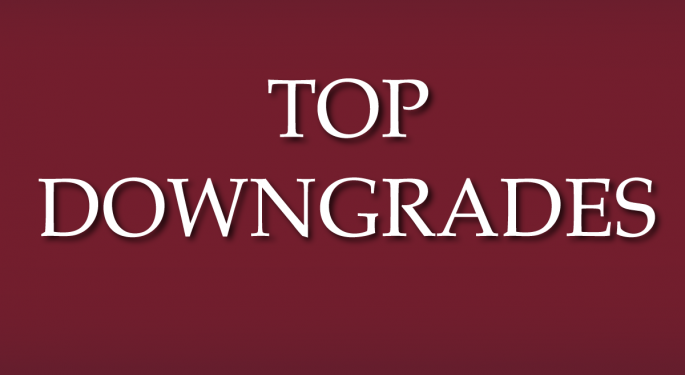 Analysts at JP Morgan downgraded Copa Holdings, S.A. (NYSE: CPA) from Overweight to Neutral. The price target for Copa Holdings has been lowered from $130.00 to $110.00. Copa Holdings' shares closed at $106.90 yesterday. Analysts at JMP Securities downgraded OraSure Technologies, Inc. (NASDAQ: OSUR) from Market Outperform to Market Perform. OraSure Technologies' shares closed at $6.16 yesterday. Analysts at Raymond James downgraded Memorial Production Partners LP (NASDAQ: MEMP) from Strong Buy to Outperform. The price target for Memorial Production has been lowered from $22.00 to $20.00. Memorial Production shares closed at $17.11 yesterday. UBS downgraded Noranda Aluminum Holding Corporation (NYSE: NOR) from Neutral to Sell. The price target for Noranda Aluminum Holding has been lowered from $$3.25 to $2.75. Noranda Aluminum Holding's shares closed at $3.20 yesterday. SunTrust Robinson Humphrey downgraded Chesapeake Energy Corporation (NYSE: CHK) from Buy to Neutral. Chesapeake Energy shares closed at $14.72 yesterday. Imperial Capital downgraded Town Sports International Holdings, Inc. (NASDAQ: CLUB) from Outperform to In-line. The price target for Town Sports International has been lowered from $9.00 to $5.50. Town Sports International's shares closed at $5.19 yesterday. Cantor Fitzgerald downgraded Sucampo Pharmaceuticals, Inc. (NASDAQ: SCMP) from Buy to Hold. The price target for Sucampo Pharmaceuticals is set to $18. Sucampo Pharmaceuticals' shares closed at $18.06 yesterday. Oppenheimer downgraded TASER International, Inc. (NASDAQ: TASR) from Outperform to Perform. Taser International's shares closed at $34.41 yesterday. Baird downgraded Synageva Biopharma Corp (NASDAQ: GEVA) from Outperform to Neutral. Synageva Biopharma shares closed at $203.39 yesterday.